DENVER — The National Endowment for Financial Education® (NEFE®) announces two new members have joined its Board of Trustees. Rachelle Feldman, associate provost and director of financial aid at the University of North Carolina, Chapel Hill; and Margaret Libby, CEO and founder of MyPath, each will serve an initial three-year term on the 14-member board. The NEFE Board of Trustees also has named Patrick Bannigan, executive vice president and chief financial officer for American Century Investments in Kansas City, Mo., as chair and Helen Norris, vice president and chief information officer at Chapman University in Orange, Calif., to vice chair for 2019. A native of Washington, D.C., Feldman spent most of her adult life in northern California, where, after a brief modern dance career, she entered a “dynamic and fascinating” world of financial aid at the University of California-Berkeley, eventually earning the role of director. She developed and implemented BEAR$ for Student Success, a peer-led financial wellness initiative for undergraduate and graduate students at Berkeley and implemented the university’s Middle-Class Access Plan. Feldman also co-founded and co-led the University of California’s systemwide Financial Aid Leadership Institute. 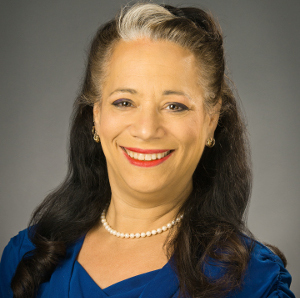 Feldman currently holds several national leadership positions including chair of the Coalition of University State Aid Administrators, board member of the National Association of Student Financial Aid Administrators (NASFAA) and executive board member of the Higher Education Loan Coalition. She regularly advocates for students at the national level. Feldman is passionate about access to higher education and giving all students the experience and preparation they need to live successful, fulfilling lives after graduation. Libby is CEO and founder of MyPath, a national nonprofit that promotes upward economic mobility for low-income working youth. Since 2007, she has led MyPath’s pioneering work to demonstrate the effectiveness of integrating banking, saving and credit-building into youth employment settings. MyPath has initiatives in 13 cities with more than 70 partner sites, engaging more than 6,500 low-income working youth. In partnership with young people, Libby helped launch MyPath Savings, the nation’s first model to integrate banking, saving and peer support directly into youth employment settings. It is a rigorously tested and proven model that has supported low-income working youth to save over $2.5 million. She also helped found MyPath Credit, the nation’s first youth-focused credit-building model. 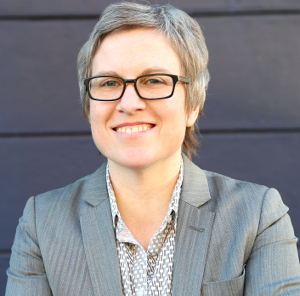 Prior to MyPath, Libby oversaw a youth-led research and evaluation project at the Youth Leadership Institute and advocated to end inequities in the subprime mortgage market while at the California Reinvestment Coalition. She has co-written numerous publications around youth financial capability, youth leadership development and evaluation, and predatory lending. Libby currently serves on the Credit Builders Alliance board of directors and is a founding member of nLIFT (Nonprofit Leaders in Financial Technology). She holds a bachelor’s degree from Brown University and a Master of Social Work from the University of California-Berkeley. Read more on the NEFE Board of Trustees.